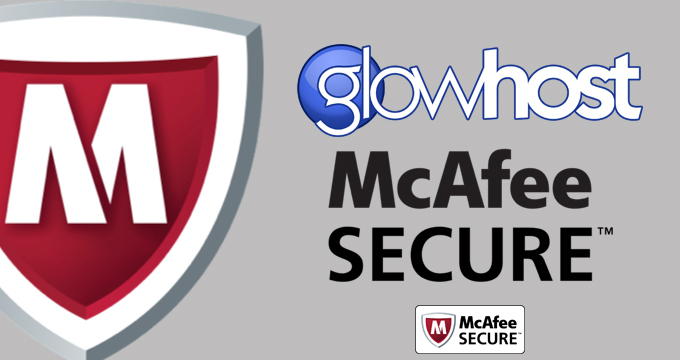 STUART, FLORIDA – In the company’s ever-increasing effort to provide a superior hosting service to its customers, Stuart, FL based GlowHost announced this week the inclusion of the McAfee Secure Trustmark security suite in all tiers of service. The upgrade is available to both new and existing customers and is fully optional and customizable. “Customers now have the option of accessing McAfee Secure Trustmark right from their GlowHost control panel,” said company CEO Matt Lundstrom, adding that users have the option of turning it on or off at any time and displaying its marker on any page of any website. That level of confidence is especially important for sites that routinely handle sensitive customer data, particularly ecommerce sites or those that deal regularly with onsite monetary transactions. Since its inception in 1987, McAfee has grown to become the world’s largest dedicated security company and has been one of the most trusted names in Internet security for more than two decades. The inclusion of this latest and most powerful suite of security applications is helping to position GlowHost as a leader in web hosting services for every hosting need from individuals to businesses of any size or description. “Check with many of our competition and you’ll find that Trustmark is offered as a premium upgrade. At GlowHost, we’ve decided that it’s a valuable enough addition to make it available across the board at no extra charge,” Lundstrom said. 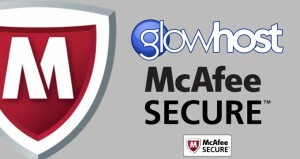 Those with questions about McAfee Secure Trustmark or are interested in signing up with GlowHost for industry-leading web hosting services are encouraged to contact customer support via the corporate website: https://glowhost.com. “We want as many people to learn firsthand why customers think we make some of the big players in web hosting look like amateurs,” Lundstrom said. Founded in 2002, GlowHost is an award-winning host that aims to provide highly reliable web hosting services at a highly competitive price, and has grown to become one of the world’s foremost web hosts for individuals and businesses alike. GlowHost currently supplies tens of thousands of customers worldwide with shared web hosting, cloud virtual dedicated server hosting, dedicated server hosting, and cloud hosting solutions, all available on a network designed for stability and the security of mission-critical data. GlowHost also offers a popular reseller web hosting solution. Across each of these distinct service types, GlowHost is committed to customer satisfaction, offering three Iron-Clad guarantees – a 91-day money back promise, 100% network uptime agreement, and up to 99.999% uptime hosting depending on your chosen solution. Hosting Services – Elk Grove, CA – PacificHost, a leading provider of Linux-based cPanel hosting solutions for video and social media websites, announced on Monday it has partnered with website security services provider, StopTheHacker. The partnership integrates PacificHost services with services offered by StopTheHacker to protect the online reputation of websites and e-businesses.